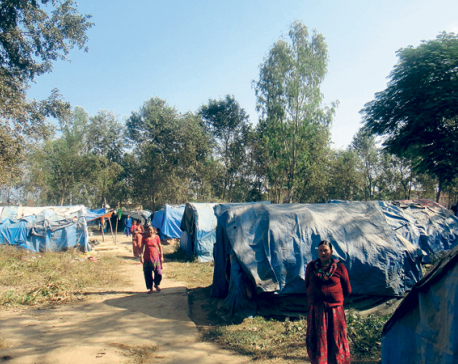 SURKHET, Sep 11: Four years after the devastating flood in the district of Surkhet, the local authorities have started collecting the details of the victims aimed at resettling them to safer places. The survey was started after the provincial government formed a committee led by Naresh Bhandari, internal affairs and law minister of the Karnali Province, to resolve the problem of flood victims. Due to the lack of a proper rehabilitation package, the homeless flood victims have been living in make-shift shelters in the middle of jungles for years. Even as the government had provided a small amount of immediate relief to the victims, they were left in the lurch due to the lack of a proper rehabilitation package. The Bhandari-led committee is mandated to conduct the survey of the flood victims and rehabilitate them. A massive flood in mid-August of 2014 had killed 115 persons and displaced 2,329 households. The federal government had released over Rs 3.6 million to 970 persons for buying land and over Rs 7 million for building houses as part of rehabilitating the victims. The central government stopped the aid after providing the first tranche. The victims should fill a three-page form which includes their family situation, permanent address, details of loss, suggestion for new settlement, relief received from government before and property details. 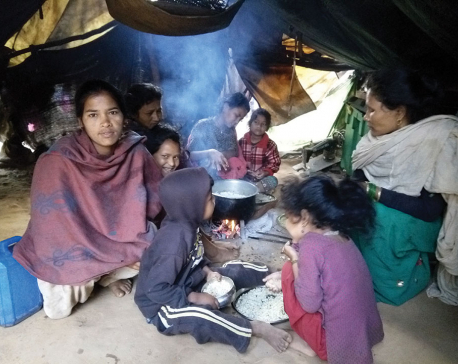 Yagya Dhakal, a member of the committee formed by the provincial government said the committee is doing its best to relocate the victims from their makeshift tents to proper shelters at the earliest. Karnali provincial government has formed five committees to collect details on the number of the flood victims and their financial condition. The committee members will visit the victims after the collection of data, according to Dhakal. Once the committee completes the survey, it will ask the victims either to return to their homes or prefer an integrated settlement. 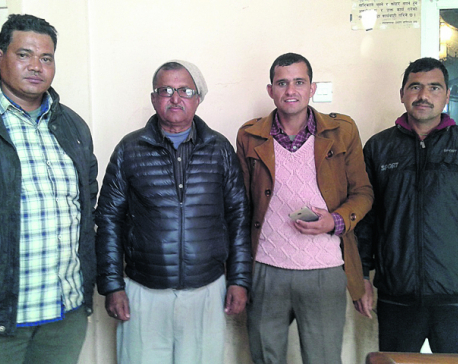 “We have asked them to either go home or live in an integrated settlement,” said the committee head Bhandari “The provincial government will build an integrated settlement with all necessary amenities,” said Bhandari.